The Indian market gets a new budget Asha phone in six sizzling colour options. Following the success of the highly popular Asha 501, Nokia has introduced a new Asha phone in India, the Nokia Asha 502. 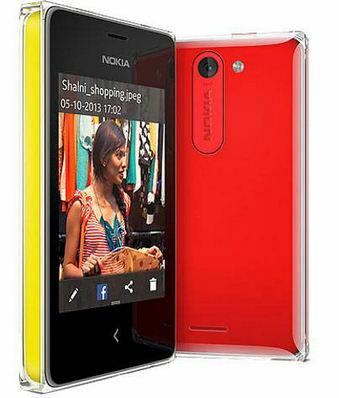 The dual SIM device features a 5MP rear camera, and is available on Nokia online store for Rs 5,739. The phone was originally showcased at Nokia World in October this year alongside the Nokia Asha 500 and Nokia Asha 503. With its value-for-money features, the Nokia Asha 502 is a great bet for price-conscious buyers. The Nokia Asha 502 has a 3-inch LCD touch display with a basic resolution of 240 x 320 pixels. It features the new Asha user interface, which offers one-swipe access for the camera and one-touch sharing for WhatsApp. The phone comes preloaded with Nimbuzz Messenger, the first app to support VoIP telephony, allowing users to make low-cost domestic and international calls. Other supported apps include Line, WeChat and LinkedIn and Facebook. The device also features the Nokia Fastlane app, a second home screen which allows users to access frequently used apps and offers deeper integration with their favourite social networks. Notably, the new Asha phone will support only micro-SIM cards. The body is encased in a crystal-clear shell and is available in six peppy colours – red, cyan, green, yellow, black and white.